Taxes are done, finally. Refund season is here. Honey, you got your money. You got your refund back. Big or small, you got something back and it’s time to figure out what you’re going to do with it. You’re going to take all the money you can get, right? I mean why not, you earned this money at the end of the day and it’s your choice on what you’re going to do with it. In some sense, you can go big or go home. 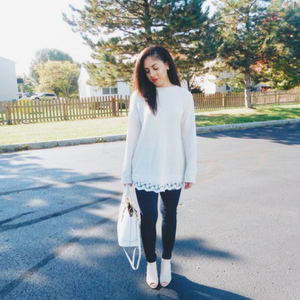 On one side of things, you can buy those booties that you’ve been eyeing. On the other side, you can put it away and not touch it. But there’s more to that. There are many sides to that return and it’s up to you to pick a side. You can do so much with money – trust me, I’ve looked into it. I’m currently on a budgeting and understanding my finances binge. Money can cause doubts, I know that too. Sometimes you’re stuck between saving and spending, should I get the shoes or wait until they go on a sale and get two pairs? You see how that works, that’s how my mind works and stops me from spending my money. Doubt was created. I hate having doubts though. That’s not the point. 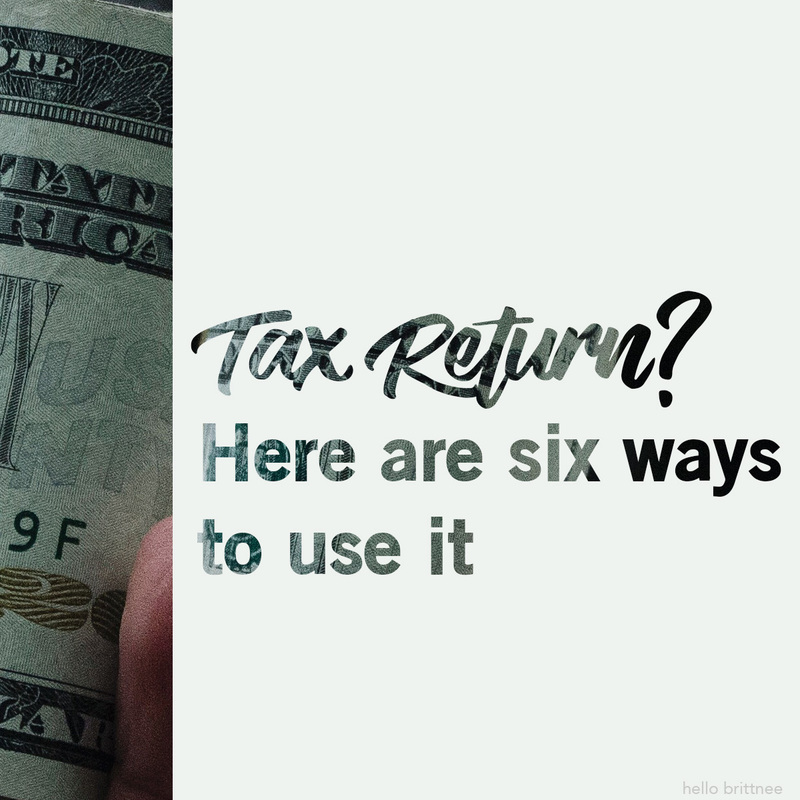 We’re here to talk about your tax return and some ideas that could help you decide what to do with it. I received my return and let’s just say it is sitting pretty. I did have to make a pro and con list because I like to buy things and I have to constantly tell myself no so that list helped me tell myself no. You know that you could easily spend that money, right now. You could take a trip to HomeGoods or the mall right now and buy something your heart desires. Saving is a big thing right now among millennials. Obviously, debt has overshadowed our college careers and student loans have become our enemies which are why we’re working on saving. You can easily stash your money away in a rainy day or emergency fund. You don’t have to spend it all at once. You could even split it into halves, quarters or however, you desire and move some to your savings and other accounts. Save, save, save. What’s the tragedy in this? You don’t get to spend the money. I get it, this seems like the most reasonable choice when you’re lying in debt. It’s not. You’re wrong. It’s a good choice, though. A great choice. Paying off a debt you own is a great idea and takes you one step closer to living a debt-free life. There’s nothing better than seeing a balance go down. Apply it to a student loan or credit card balance, clear your conscious in some way. That’s one less worry if you put your return towards your debt. This is a recommendation from many to pay off a debt and it’s not a bad reco especially if it helps you out in the long run. I’m with you, friend. This one seems a little bit complicated but it’s really not. You can invest your money. I hear so many positive stories about investing and putting some of your money into something. I wonder never recommend putting all your refund into something because you don’t know the return on that but some of it can be invested into something you believe in. There are stocks, startups, and many companies out there that you could invest in. At the end of the day, you don’t know what’s going to happen so if you love a thrill, this could be the route for you. If you don’t know where to start, you can start with your bank – some banks offer stock kits and can guide you along the way. You’ll love this idea because this idea involves making yourself happy in some way. If spending money on yourself doesn’t make you happy in some way, shape, or form, I’m side eyeing you a little. Here’s what you need to do when it comes to spending your own money, figure out what you want and think long and hard about whether it’s worth it or not. You don’t want to waste the refund so it needs to be the bomb. How do you rationalize spending money on yourself? Especially if you budget? I would go down that route and try to figure out what I need versus what I want but then again, that’s just me. You do you and spend your money on yourself. The favorite choice. Who doesn’t want to go on a vacation? It’s your own paradise if you do it right. Maybe that tax refund would look nice going towards a trip that you can spend time with yourself or someone else. Did you think this was a choice? IF you did, I applaud you because this is something I always think about and I think one should go for it if they have the time to take off and can find a nice place to run off to. Stick with me on this, you can take a trip depending on the size of your refund and enjoy yourself for a few days. That is paradise. I’m thinking Hawaii, how about you? Where would you travel with your money? Some place where the sun is always out is the dream. 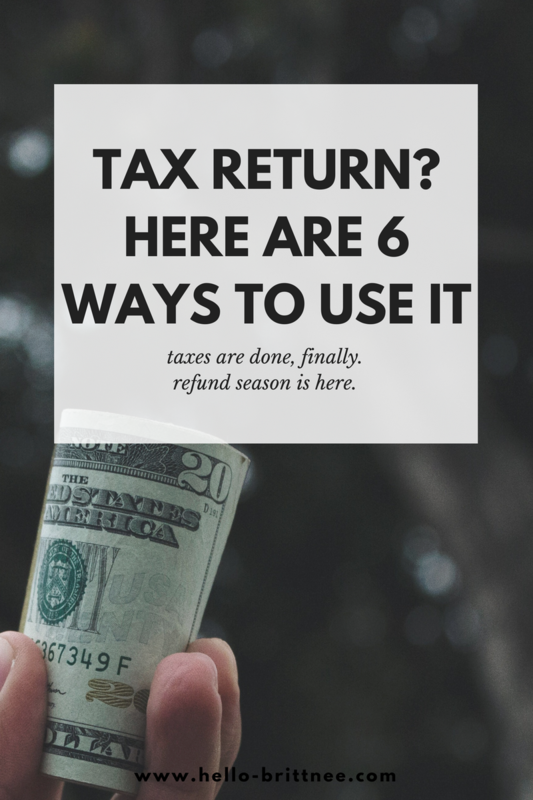 You’ll thank your tax refund when you arrive. Now, it’s your move. Your decision. So that’s it, these are some ideas that you can take and run with. There are other things that you could do with your money like donate, that’s totally up to you. To each their own, line up with your needs and values so you can do what you have to do. What route did I go with my refund? I saved it. I’m a saver and it takes a lot of convincing to get me to spend money on myself although I will spend it on other people. 75% of the return went into my savings while the other 25% went to what I owed the city which I won’t lie, I was disappointed because I wanted to keep all my money. And now, it’s up to you. What are you going to do with that money? You don’t have to answer that, it is none of my business. Do something great for you with it and enjoy it!